Unless there are meaningful changes to the AU structure, the Chair of the Commission will remain a largely irrelevant bureaucrat, whoever it is. 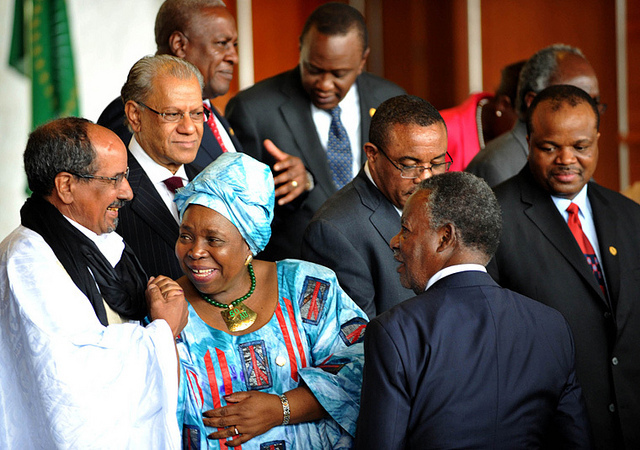 Outgoing AUC chair, Nkosazana Dlamini-Zuma, mingles with AU heads of state in 2013. Credit: GCIS. There is no a real African Union. There is a Chinese stadium and American play ground in Addis. 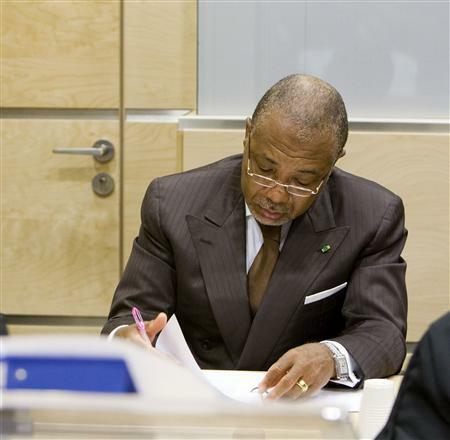 Notwithstanding the The AU Commission’s (AUC) dependence on the member states, as a central organ of the Union, it has yet to focus on the primary and strategic interests of Africa because of its ideological muddle, core mission incoherence, corporate incapacity and the tendency to be petrified of building strategic institutions. Further, the AUC is dependent on donors that compromise its autonomy of decision-making. The glut of inter-governmental bodies and regional organisations professing to represent organised pan-Africanism on the continent has failed to claim new integration frontiers in the 21st century. Such a feat originates directly from the governance frailty within the AUC and the mismatch between norms set in treaties and institutions on one hand, and their operationalization on the other. Within current projects of African political reform, African enlightenment and shared values are either conventionalized or sterilized on terrain of theory and often vacuously formalized on the ground of practice and enter African society in relatively abstract, syncretic and plain form, yet are expected to land on immediate and vital African polity’s socio-political experience. It suggests itself and seems within reach; only to elude, and appears readily practicable only to resist realization. Thus, operationalisation of the plethora of existing legal and institutional frameworks should take priority. The legitimacy of the AUC chairperson will rest on revolutionizing the Commission to make it relevant to Africans and the next term must not be another round of rule-making, but of implementation. The author was comforted by Dr Dlamini-Zuma’s view of Africa that paints a positive vista of the continent’s prospects as the next pole of growth and prosperity; nonetheless, an important dynamic in AUC corporate maturity is the critical role of human qualities in creating a sustained policy, strategic and organisational faculty. In order to undertake such a colossal errand, the next chairperson needs to engage highly qualified and independent think tanks that continually remodel, expand, advance, renovate, cultivate and develop mighty economies even when their models are doing well and that are able to drive the vision of Africa First.